On Tuesday, February 12, 2019, our beloved mother, Mildred Viola Goodenough Christensen, completed her journey on earth and returned to her heavenly home. Mildred was born on February 25,1928, the second of four children born to Elmer and Orbie Goodenough. Mildred was born and raised in Inkom, where she graduated high school. 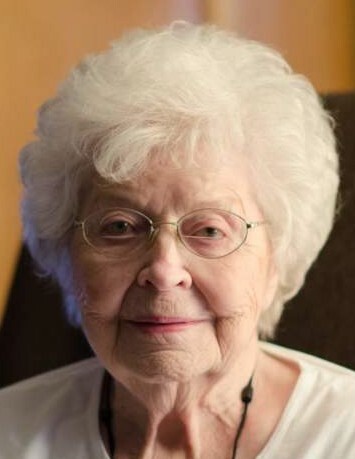 Mildred married on March 12, 1948, and made her home in Pocatello, where she raised five children. Mildred worked for Billmeyers and Hanson Distributors, where she retired. Several years later the family returned to Inkom and called it home. Mildred was a compassionate person. She cared for her father in his later years before his passing. Mildred loved her siblings who lovingly called her Milly. They were very close and spent as much time together as often as possible. There was always an abundance of laughter when they got together. When Mildred’s sister Loretta became ill, she cared for her before her passing. Mildred would always say, “ it was a blessing to share that time with them”. Mildred’s love in life was her children and grandchildren. Her grandchildren have stories of the many, many times they spent the night at grandma’s house. She made each visit special making their favorite food and trips to town shopping. When Mildred became a great grandma, she was given the name of Granny Great. The name fit her perfectly, for she was truly great. They will have those special memories forever and they share those experiences often. Mildred was a homebody and home was truly where her heart was. Her home was always filled with family, children and grandchildren. Everyone that walked through her door felt welcome. She cherished the times her family gathered around the table enjoying good food, sharing stories, laughter and the day usually ended with a good game of poker. Mildred passed just 13 days short of her 91st birthday. She lived a full and honorable life. Times were not always easy, but she always pushed on and often added a witty remark that would bring a chuckle and a smile to any situation. She was preceded in death by her parents, Elmer and Orbie Goodenough, two sisters and brother-in-laws, Helen and George Kott, Loretta and Wallace Buffi, a sister-in-law, Pauline Goodenough and a great-great granddaughter. Mildred is survived by a brother, Bill Goodenough(Soda Springs), her children, Allan(Kathie), Larry(Nancy), Janet(Steve), Kirk(Annette), David(Wendy), 14 grandchildren, 32 great grandchildren, 3 great-great grandchildren and another due in July. The family wishes to thank Quinn Meadows and Heritage Home Health for the care and kindness they showed mom. 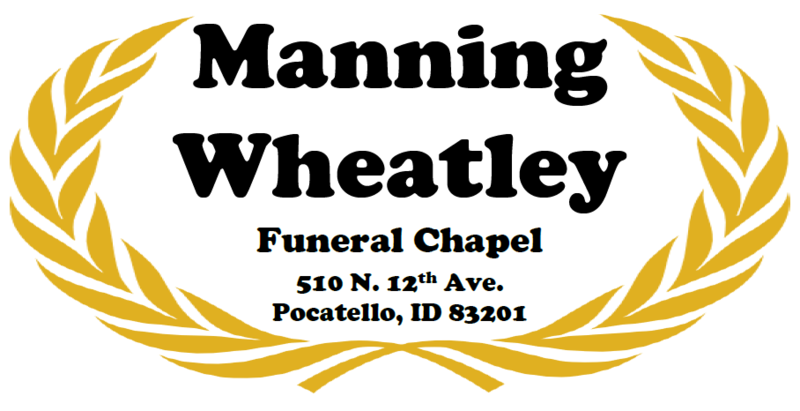 Service will be held at Manning Funeral Chapel on Saturday, February 16th, at 2:00. Mom is loved by many and will be missed by all.